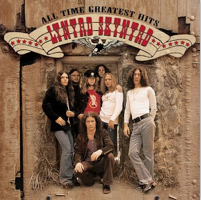 Download Lynyrd Skynyrd’s “Sweet Home Alabama” MP3 Single For FREE On Google Play! Head over to Google Play and you can download Lynyrd Skynyrd’s “Sweet Home Alabama” MP3 Single for FREE! Offers like this are a great way to add music to your music library without spending a fortune at the same time! **This promotion can end at any time. Only available while supplies.